Holland America Line offers a multitude of cruises from Fort Lauderdale to the Eastern Caribbean, Western Caribbean, Aruba, Cuba, Transatlantic and the Panama Canal. They also have very popular Christmas cruises. The schedule of departures is below. Holland America Line has luxury cruises to out-of-the-ordinary destinations. 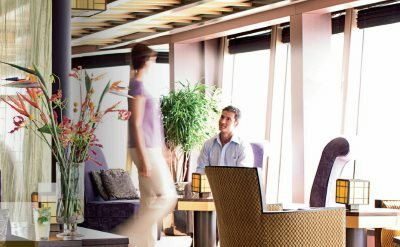 The line's investment in enhancements to its ships focuses on: spacious, elegant ships and accommodations; sophisticated five-star dining; gracious, unobtrusive service; extensive enrichment programs and activities; and compelling worldwide itineraries. 7-day Eastern Caribbean cruises on ms Nieuw Amsterdam. Round-trip from Fort Lauderdale to Grand Turk (Turks & Caicos), San Juan (Puerto Rico), St Thomas (US Virgin Islands) and Half Moon Cay (Bahamas). • 2019 departures: October 19, November 16, December 14. • 2020 departures: January 11. 7-day Eastern Caribbean cruises on ms Veendam. Round-trip from Fort Lauderdale to Grand Turk (Turks & Caicos), San Juan (Puerto Rico), St Thomas (US Virgin Islands) and Half Moon Cay (Bahamas). • 2019 departures: November 13, December 4. 7-day Eastern Caribbean cruises on ms Nieuw Amsterdam. Round-trip from Fort Lauderdale to Half Moon Cay (Bahamas), Grand Turk (Turks & Caicos), Amber Cove (Dominican Republic) and Key West (Florida). • 2019 departures: October 26, November 23, December 7. • 2020 departures: February 15, February 29, March 28. 7-day Eastern Caribbean cruises on ms Nieuw Statendam. Round-trip from Fort Lauderdale to Amber Cove (Dominican Republic), San Juan (Puerto Rico), St Thomas (US Virgin Islands) and Half Moon Cay (Bahamas). • 2019 departures: November 10, December 29. 7-day Eastern Caribbean cruises on ms Nieuw Statendam. Round-trip from Fort Lauderdale to Key West (Florida), Amber Cove (Dominican Republic), Grand Turk (Turks & Caicos) and Half Moon Cay (Bahamas). • 2019 departures: November 24, December 15. • 2020 departure: January 5, January 26, February 16, March 8, March 29. 7-day Eastern Caribbean Holiday cruise on ms Zuiderdam. Round-trip from Fort Lauderdale to Grand Turk (Turks & Caicos), San Juan (Puerto Rico), St Maarten and Half Moon Cay (Bahamas). 7-day Eastern Caribbean Holiday cruise on ms Nieuw Amsterdam. Round-trip from Fort Lauderdale to Half Moon Cay (Bahamas), Grand Turk (Turks & Caicos), Amber Cove (Dominican Republic) and Nassau (Bahamas). 7-day Eastern Caribbean New Year cruise on ms Zuiderdam. Round-trip from Fort Lauderdale to Half Moon Cay (Bahamas), Grand Turk (Turks & Caicos), Amber Cove (Dominican Republic) and Key West (Florida). 7-day Eastern Caribbean New Year cruise on ms Eurodam. Round-trip from Fort Lauderdale to Half Moon Cay (Bahamas), Grand Turk (Turks & Caicos), Amber Cove (Dominican Republic) and Nassau (Bahamas). 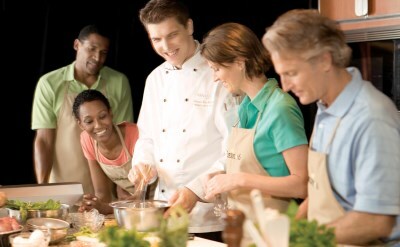 9-day Eastern Caribbean cruises on ms Volendam. Round-trip from Fort Lauderdale to Antigua, St Maarten, St Thomas and Half Moon Cay (Bahamas). • 2019 departures: November 11. 10-day Southern Caribbean cruise on the ms Volendam. Round-trip from Fort Lauderdale to Half Moon Cay (Bahamas), Grand Turk (Turks & Caicos), Amber Cove (Dominican Republic), Bonaire, Curacao and Aruba. 10-day Southern Caribbean cruise on the ms Koningsdam. Round-trip from Fort Lauderdale to Half Moon Cay (Bahamas), Grand Turk (Turks & Caicos), Amber Cove (Dominican Republic), Bonaire, Curacao and Aruba. • 2019 departure: November 24. 10-day Southern Caribbean cruise on the ms Zuiderdam. Round-trip from Fort Lauderdale to Half Moon Cay (Bahamas), Amber Cove (Dominican Republic), Bonaire, Curacao and Aruba. • 2019 departure: December 10. 10-day Southern Caribbean cruise on the ms Koningsdam. Round-trip from Fort Lauderdale to Half Moon Cay, Grand Turk, Amber Cove, Bonaire, Curacao and Aruba. • 2020 departures: January 2, January 12, February 2, February 23. 11-day Southern Caribbean cruise on the ms Koningsdam. Round-trip from Fort Lauderdale to St Maarten, Martinique, Barbados, St Lucia, St Kitts, St Thomas and Half Moon Cay. • 2019 departures: November 13, December 4, December 22. • 2020 departure: January 22, February 12, March 4. 16-day Southern Caribbean Holidays cruise on the ms Volendam. Round-trip from Fort Lauderdale to Grand Cayman, Jamaica, Curacao, Aruba, Trinadad, Tobago, Barbados, St Maarten and St John. 7-day Southern Caribbean Holiday cruise on the ms Nieuw Statendam. Round-trip from Fort Lauderdale to Half Moon Cay, Curacao and Aruba. 7-day Western Caribbean cruises on the ms Nieuw Statendam. Round-trip from Fort Lauderdale to Half Moon Cay (Bahamas), Falmouth (Jamaica), Grand Cayman (Cayman Islands) and Cozumel (Mexico). • 2019 departures: November 17, December 8. 7-day Western Caribbean cruise on the ms Nieuw Amsterdam. Round-trip from Fort Lauderdale to Half Moon Cay (Bahamas), Falmouth (Jamaica), Grand Cayman (Cayman Islands) and Key West (Florida). • 2019 departure: November 30. 7-day Western Caribbean Holiday cruise on the ms Eurodam. Round-trip from Fort Lauderdale to Half Moon Cay (Bahamas), Falmouth (Jamaica), Grand Cayman (Cayman Islands) and Cozumel (Mexico). 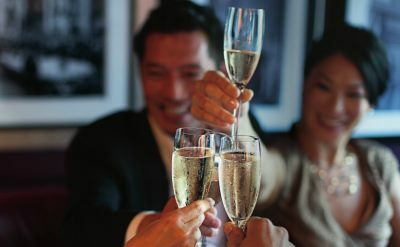 7-day Western Caribbean New Year cruise on the ms Nieuw Amsterdam. Round-trip from Fort Lauderdale to Half Moon Cay (Bahamas), Falmouth (Jamaica), Grand Cayman (Cayman Islands) and Cozumel (Mexico). 7-day Western Caribbean cruises on the ms Zuiderdam. Round-trip from Fort Lauderdale to Half Moon Cay (Bahamas), Falmouth (Jamaica), Grand Cayman (Cayman Islands) and Cozumel (Mexico). • 2020 departures: February 1. 7-day Western Caribbean cruises on the ms Nieuw Statendam. Round-trip from Fort Lauderdale to Half Moon Cay (Bahamas), Ocho Rios (Jamaica), Grand Cayman (Cayman Islands) and Cozumel (Mexico). • 2020 departures: March 1, March 21, April 12. 7-day Cuba cruises on the ms Veendam. Round-trip from Fort Lauderdale to Havana (Cuba), Cienfuegos (Cuba), Ocho Rios (Jamaica) and Grand Cayman (Cayman Islands). • 2019 departures: October 23, October 30, November 6, November 20, November 27, December 11. • 2020 departures: January 8, January 15, January 29, February 5, February 12, February 19, February 26, March 4, March 11, March 25, April 1, April 8, April 15. 10-day Cuba Holiday cruise on the ms Veendam. Round-trip from Fort Lauderdale to Havana (Cuba), Cienfuegos (Cuba), Grand Cayman (Cayman Islands), Amber Cove (Dominican Republic), Grand Turk and Half Moon Cay. 11-day Cuba New Year cruise on the ms Veendam. Round-trip from Fort Lauderdale to Key West (Florida), Havana (Cuba), Cienfuegos (Cuba), Grand Cayman (Cayman Islands), Mahogany Bay (Honduras) and Cozumel (Mexico). 10-day Panama Canal cruises on the Holland America Zuiderdam. Round-trip from Fort Lauderdale to Half Moon Cay (Bahamas), Aruba, Curacao, Colon (Panama), the Panama Canal (partial transit) and Puerto Limon (Costa Rica). • 2019 departures: October 20, November 10, November 20. • 2020 departures: March 8, March 29. 10-day Panama Canal cruises on the ms Eurodam. Round-trip from Fort Lauderdale to Half Moon Cay (Bahamas), Aruba, Curacao, Colon (Panama), the Panama Canal (partial transit) and Puerto Limon (Costa Rica). • 2019 departures: December 1, December 11. 11-day Panama Canal cruises on the Holland America Zuiderdam. Round-trip from Fort Lauderdale to Half Moon Cay (Bahamas), Aruba, Curacao, Cartagena (Colombia), Colon (Panama), the Panama Canal (partial transit) and Puerto Limon (Costa Rica). • 2019 departures: October 30. • 2020 departures: February 15, February 26, March 18, April 8. 11-day Panama Canal cruises on the ms Eurodam. Round-trip from Fort Lauderdale to Half Moon Cay (Bahamas), Aruba, Curacao, Cartagena (Colombia), Colon (Panama), the Panama Canal (partial transit) and Puerto Limon (Costa Rica). • 2020 departures: January 4, January 15, February 5. 16-day Panama Canal cruise on the ms Rotterdam. One-way from Fort Lauderdale to San Diego (California). Visit Half Moon Cay (Bahamas), Aruba, the Panama Canal, Puntarenas (Costa Rica), Corinto (Nicaragua), Puerto Quetzal (Guatemala), Huatulco (Mexico) and Puerto Vallarta (Mexico). • 2019 departure: November 20. 17-day Panama Canal Holidays cruise on the ms Rotterdam. One-way from Fort Lauderdale to San Diego (California). Visit Half Moon Cay (Bahamas), Aruba, Curacao, the Panama Canal, Puntarenas (Costa Rica), Corinto (Nicaragua), Puerto Quetzal (Guatemala), Huatulco (Mexico) and Puerto Vallarta (Mexico). 16-day Panama Canal cruise on the ms Rotterdam. One-way from Fort Lauderdale to San Diego (California). Visit Curacao, Aruba, the Panama Canal, Puntarenas (Costa Rica), Corinto (Nicaragua), Puerto Quetzal (Guatemala), Huatulco (Mexico) and Puerto Vallarta (Mexico). • 2020 departures: January 23, February 24. 17-day Panama Canal cruise on the ms Oosterdam. One-way from Fort Lauderdale to San Diego (California). Visit Half Moon Cay (Bahamas), Aruba, the Panama Canal, Puntarenas (Costa Rica), Corinto (Nicaragua), Puerto Quetzal (Guatemala), Puerto Chiapas, Huatulco (Mexico) and Puerto Vallarta (Mexico). • 2020 departure: February 5. 14-day Transatlantic cruise on ms Nieuw Statendam. One-way from Fort Lauderdale to Amsterdam (Netherlands). Visit Horta (Azores), Ponta Delgada (Azores), Cherbourg (France) and Zeebrugge (Belgium). 16-day Transatlantic cruise on ms Rotterdam. One-way from Fort Lauderdale to Rotterdam (Netherlands). Visit Praia Di Vitoria (Azores), Ponta Delgada (Azores), Cork (Ireland), Waterford (Ireland), Falmouth (England), Le Havre (France) and Zeebrugge (Belgium). • 2020 departure: March 27. 13-day Transatlantic cruise on ms Nieuw Amsterdam. One-way from Fort Lauderdale to Barcelona (Spain). Visit Ponta Delgada (Azores), Cadiz (Spain), Malaga (Spain) and Cartagena (Spain). • 2020 departure: April 15. 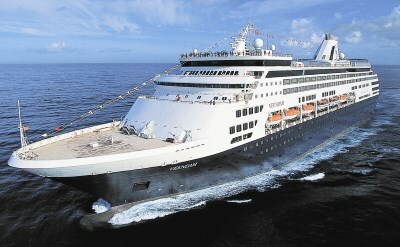 14-day Transatlantic cruise on ms Zuiderdam. One-way from Fort Lauderdale to Rome (Italy). Visit Funchal (Madeira), Cadiz (Spain), Malaga (Spain) and Cartagena (Spain). 14-day Transatlantic cruise on ms Nieuw Statendam. One-way from Fort Lauderdale to Amsterdam (Netherlands). Visit Praia Di Vitoria (Azores), Cherbourg (France), Le Havre (France) and Zeebrugge (Belgium). 17-day Transatlantic cruise on ms Veendam. One-way from Fort Lauderdale to Amsterdam (Netherlands). Visit Horta (Azores), Praia Di Vitoria (Azores), Ponta Delgada (Azores), Brest (France), Cherbourg (France), Le Havre (France) and Zeebrugge (Belgium). • 2020 departure: April 22. 17-day cruise to South America on Holland America Zaandam. One-way from Fort Lauderdale to Santiago (Chile). Visit Aruba, the Panama Canal, Fuerte Amador (Panama), Manta (Ecuador), Salaverry (Peru), Callao (Peru), Pisco (Peru) and Coquimbo (Chile). • 2019 departure: October 16. 30-day cruise to the Amazon on ms Volendam. Round-trip from Fort Lauderdale to St Barts, St Lucia, Devils Island (French Guiana), the Amazon River, Macapa (Brazil), Santarem (Brazil), Boca da Valeria (Brazil), Manaus (Brazil), Parintins (Brazil), Alter do Chao (Brazil), Belem (Brazil), Barbados, Aruba, Curacao, Falmouth (Jamaica), Grand Cayman (Cayman Islands) and Key West (Florida). 77-day cruise around South America on ms Volendam. Round-trip from Fort Lauderdale to Grand Cayman, the Panama Canal, Fuerte Amador (Panama), Manta (Ecuador), Trujillo (Peru), Lima (Peru), Pisco (Peru), La Serena (Chile), Santiago (Chile), Isla Robinson Crusoe, Puerto Montt (Chile), Isla Chiloe (Chile), Puerto Chacabuco (Chile), Punta Arenas (Chile), Cape Horn, Ushuaia (Argentina), Antarctica, Stanley (Falkland Islands), Puerto Madryn (Argentina), Punta Del Este (Uruguay), Montevideo (Uruguay), Buenos Aires (Argentina), Santos (Brazil), Ilhabela (Brazil), Rio de Janeiro (Brazil), Ilheus (Brazil), Salvador Da Bahia (Brazil), Recife (Brazil), Fortaleza (Brazil), Belem (Brazil), the Amazon River, Santarem (Brazil), Boca Da Valeria (Brazil), Manaus (Brazil), Parintins (Brazil), Alter Do Chao (Brazil), Devils Island (French Guiana), Barbados, St Vincent and Santo Domingo (Dominican Republic). 18-day cruise to South America on ms Koningsdam. One-way from Fort Lauderdale to Buenos Aires (Argentina). Visit Barbados, Devils Island, Fortaleza (Brazil), Recife (Brazil), Rio de Janeiro (Brazil) and Montevideo (Uruguay).